St. Louis Alderman Antonio French documents a press conference with Ferguson Police Chief Tom Jackson. So French did what he’s been doing for years: He started taking pictures and filming video. It’s a decision that has had spiraling repercussions: Since Saturday, French’s Twitter follower count has exploded. He’s been profiled in Buzzfeed and interviewed by media outlets from around the world. And this morning after he was released from police custody after a hectic night of protesting, local news stations broke away to cover his press conference. Besides becoming a primary source on what’s become an international story, French has emerged as one of the more visible political figures bringing attention to Brown’s death. And while his presence hasn’t been universally applauded, it may illustrate how young protesters connect better with youthful elected officials like French than with the older political and religious leaders who directly represent north St. Louis County. Much has been written about how French’s use of social media brought widespread attention to the unrest. He now has over 53,000 followers on Twitter, an unheard of number for a member of the Board of Aldermen. Mainstream media outlets have used his videos and images – and his Tweets have been re-Tweeted by luminaries such as MC Hammer. It may be why so many people used social media to express outrage about his arrest. But quite a few people – especially on Twitter – have wondered why a St. Louis alderman would concern himself with a situation in north St. Louis County. For French, the reason is fairly simple: “The black population in Ferguson who’s most upset about this don’t have representation." That's a reference to how most of Ferguson’s elected leadership is white. “If you’re looking for an elected official to represent the people of Ferguson in this time, they don’t have it,” French said. State Sen. Maria Chappelle-Nadal, a University City Democrat who represents Ferguson in the Missouri Senate, echoed French’s sentiments. She related an anecdote about how members of the clergy told young people angry about Brown’s death to get out of the street – which she said missed the point. Sen. Maria Chappelle-Nadal, D-University City, says there's a divide between older political leadership and the young people on the street. Still, some have questioned whether it’s appropriate for St. Louis elected officials to get involved in a St. Louis County issue. Besides French, officials like state Sen. Jamilah Nasheed, D-St. Louis, and Board of Aldermen President Lewis Reed have taken a reasonably prominent role in speaking out after Brown's death. Councilwoman Hazel Erby, who represents Ferguson on the St. Louis County Council, has questioned the involvement of St. Louis city elected officials. “Because I promise you, they have their own fair share of problems as well,” he added. Neither Erby nor Gaskin mentioned French by name. In fact, Gaskin went out of his way to praise French, adding that “if the media had not existed, I believe Maria and Antonio would still be out here – because that’s just who they are.” Others on social media, though, have questioned whether French’s role is appropriate, given that the shooting happened in St. Louis County. 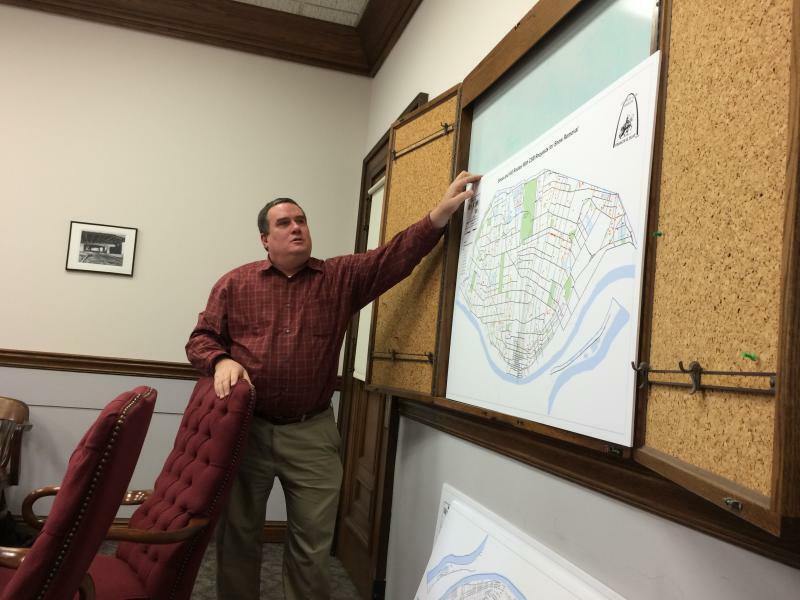 Not all north St. Louis County political figures see French's involvement negatively. Chappelle-Nadal credited French with alerting her about Brown’s death. He said French has been “amazing” during the past few tumultuous days. State Rep. Sharon Pace, D-St. Louis County, represents part of Ferguson in the Missouri House. She said she “welcomed” other elected officials getting involved. French – who has relatives in north St. Louis County – said the outcry over Brown’s death transcends traditional jurisdictional borders. He said the episode has a broader lesson for the region. On the Trail, a weekly column, weaves together some of the intriguing threads about Missouri politics.